There’s no doubt that the Haim sisters have secured their spot in the public eye. From their 2015 Grammy nomination for Best New Artist to being regulars on T-Swift’s instagram, Este, Danielle, and Alana have kinda got this whole pop thing figured out. Not only that, they’ve been pretty open about how they did it. They released a commentary of their debut DAYS ARE GONE on Spotify, as well as a track-by-track breakdown of SOMETHING TO TELL YOU on Pitchfork. It’s the equivalent of a magician pulling back the curtain and showing you the method behind the illusion. In short, HAIM is accessible. But on SOMETHING TO TELL YOU, poignant lyrics on the throes of heartbreak and finely-wrought arrangements reveal that their process is more intricate than it lets on. It’s something that the best pop music strives to be—deceptively effortless. The band has cited a wide range of influences, from Fleetwood Mac to Destiny’s Child. Their inspirations are practically stamped into their music. Not derivative, but definitely evocative. Mid-album gem “You Never Knew”(co-written by Dev Hynes) is pure RUMORS-era Fleetwood Mac, with a glimmering groove that sounds utterly timeless. It’s got one of Danielle’s strongest moments vocally, as she belts, “Another heart another day / So much time was thrown away.” In a Christine McVee moment she sighs, “You know I love to be in love.” Her sisters back her up in their Greek chorus-like, “You couldn’t take it!” Rather than recreating the past, Haim takes its essence and weaves it into something new. Each track is layered and produced so that it gleams with a glossy finish. The songs just simply sound good. But break down a song like the moody “Right Now” and it becomes clear that every detail is methodically-placed. “Night So Long”’s soulful melancholy is the closest thing to the album letting its guard down. But even in its attempt to stay grounded, it feels like a “no-makeup” selfie in which the subject is still donning highlighter, bronzer, and a healthy amount of mascara. It’s still composed. Many times it is the flaws in music that we as listeners relate to the most. Imperfection is human—whether it’s a slight vocal crack, a flubbed note, a bit of distortion, we crave a crack in the armor every now and then. Good luck finding one on SOMETHING TO TELL YOU. 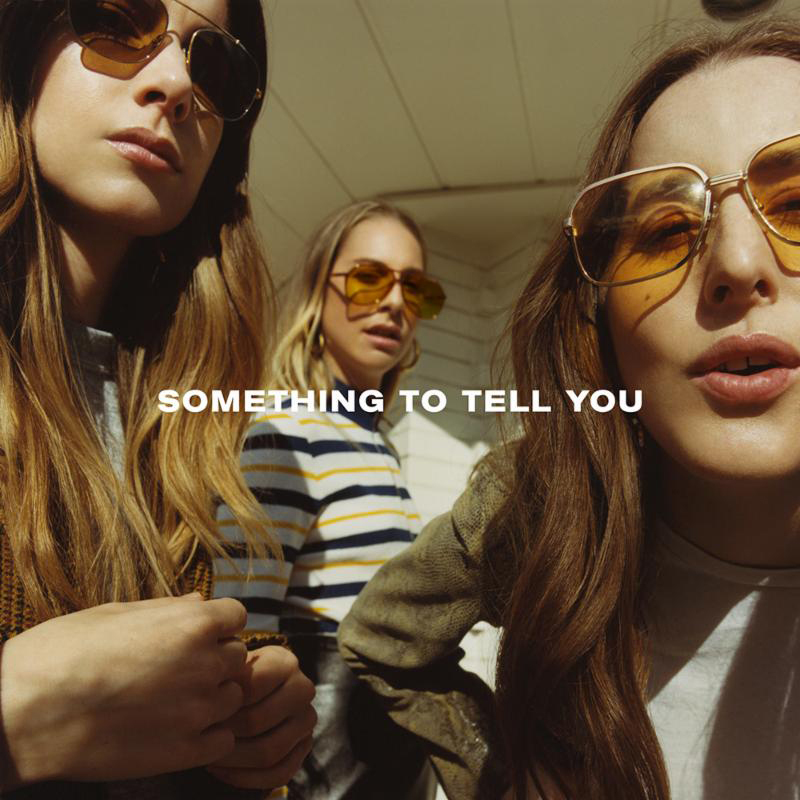 While HAIM might not be the underdogs of pop rock by any means, it hardly matters when they’re so darn likable. With SOMETHING TO TELL YOU, they’ve created another strong record where upon listening, you can’t help but cheer them on.